Al Masaood Automobiles, authorised distributor of Nissan, Infiniti and Renault in Abu Dhabi, Al Ain and the Western Region, has launched Renault’s latest electric car model across the emirate. 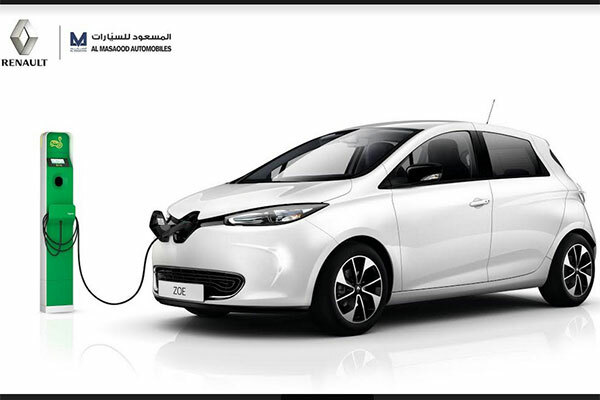 Renault, which was the first to introduce a full electric vehicle (EV) in the Middle East, is delivering this time the Renault Zoe long range model which boasts a 40 battery - 41kWh unit power source extending the driving range of the EV to record 300 km on a single charge. The zero emissions car’s reach is double the distance range compared to the previous generation of Renault Zoe. The new battery being used in the car is made from high-energy density lithium-ion technology which has been developed in partnership with LG Chem and engineered to increase storage capacity while not compromising on weight and space. It is strategically integrated within the vehicle coupled with advanced air circulation system and electronic management that helps maintain the battery’s temperature at consistent level. This feature makes the EV run economically and an ideal car for countries such as the UAE where temperature goes high during summers. Irfan Tansel, CEO, Al Masaood Automobiles, said: “Renault Zoe long range is a compact car which is ideal for moving around within the city. Its fully electric and zero emissions features share the ideals of the emirate to build a sustainable city, in line with the Abu Dhabi Vision 2030 and the UAE’s goals to reduce carbon footprint and contribute to the building of a healthy and environment-friendly society. While benefitting from extra capacity, Renault Zoe long range’s charging time remains the same and ‘topping up’ the battery for just 30 minutes provides the user with an additional 80 km of range. Renault continues to develop its futuristic cars under the ‘Drive the Future’ strategy, a six-year plan which will see the brand maintain its global leadership in electric car market.